«Follow the directions on the aspirin bottle» illustrated quotation. Funny, free quote pictures for Facebook, Twitter, LinkedIn, Reddit, Pinterest and other social networks. 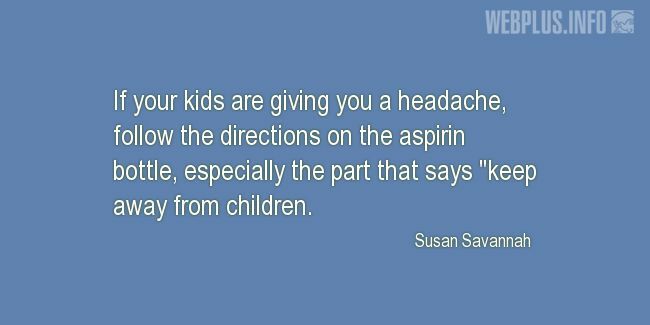 If your kids are giving you a headache, follow the directions on the aspirin bottle, especially the part that says "keep away from children.